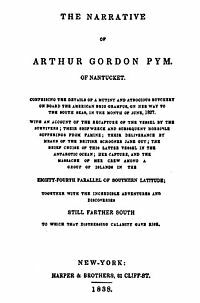 In Edgar Allan Poe’s only novel The Narrative of Arthur Gordon Pym of Nantucket, published in 1838, Richard Parker is a mutinous sailor on the whaling ship Grampus. After the ship capsizes in a storm, he and three other survivors manage to catch a tortoise to eat while stranded on the sea. However after some days they have again the problem of survival. They eventually draw lots upon Parker’s suggestion to kill one of them to sustain the others. Parker is the “lucky” one and gets cannibalized by his fellow sailors. In 1884, the yacht Mignonette sank. 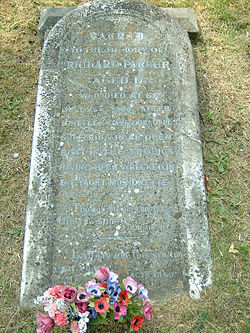 Four people survived and drifted in a life boat before one of them, the cabin boy Richard Parker, was killed by the others for food. This led to the R v Dudley and Stephens criminal case. [Hanson, Neil. (1999). The Custom of the Sea: The Story that Changed British Law. Doubleday] The eery pary of the story (well, more… eery than what has already been said above?) is that again the stranded sailors found a tortoise and ate it before becoming desparate to eat one of their fellow sailors. Parker made the mistake of drinking seawater and started getting ill. He suggested to draw straws, but the other decided to kill him anyway since he was ill.
Or a crude way the cosmos uses to remind us of a simple truth? Do scientists believe in coincidences? Or do they try to search for the reason behind every phenomenon they observe? If a scientist is allowed to use ONE single experiment to disprove a century-old theory (and prove a new radical one), why not use such “coincidenced” to disprove the “everything is random” theory many postulate? Weird stories call out for weird explanations.